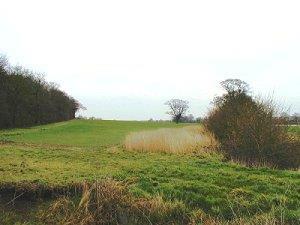 Triple Triangle Walk Keysoe at Keysoe Walking RouteThe walk is alongside woods and fields and is a mixture of footpaths and bridleways with well-defined tracks and is signposted at intersections. Start Point: The start of the walk is approximately 2 miles along the Riseley Road from the B660 at Keysoe Brook end. Start Nat GR: TL076632. The walk is alongside woods and fields and is a mixture of footpaths and bridleways with well-defined tracks and is signposted at intersections. How to get there by car/parking: Cars can be parked by Keysoe Park Wood which is on the roadside just before Riseley Hill.